Amid warnings over potential dangers of facial recognition, Jacob Sniff is still bullish on the technology. His Cambridge, MA-based facial recognition software startup Suspect Technologies has closed on an $810,000 funding round co-led by billionaire investor and “Shark Tank” star Mark Cuban and Santa Monica, CA-based venture firm Chaac Ventures. Up until now, Suspect Technologies has sold its automatic facial-redaction software to makers of police body cameras, and cops use it to blur or block faces in the videos. The company, founded in 2015 by Sniff and his MIT research partner Srikanth Parupati, is set to roll out the next version of its software that will identify specific suspects from compiled surveillance video footage—and help police manage the long hours of video from investigations or body cameras. Suspect Technologies is also working to pilot a real-time service next year by monitoring public surveillance video feeds with its facial recognition software and cross-referencing it all against a public safety watch list, Sniff says. He explained the plans but declined to identify the law enforcement client. Facial recognition technology has met headwinds in recent weeks, with it being the subject of grave warnings and calls for regulation based on privacy concerns. Microsoft (NASDAQ: MSFT) president and chief legal officer Brad Smith said in a blog post last week that governments need to start regulating facial recognition. Aware of the recent spotlight on facial recognition tools, Sniff says Suspect Technologies takes privacy and security seriously. But he predicts that eventually the public will get used to having their faces scanned by law enforcement, advertisers, and technology companies; he cites Apple, Delta, and Hertz as already commercializing the technology. Suspect Technologies’ next-generation product will let police detectives investigating a crime quickly convert file types from the mess of varied video codes that each surveillance camera manufacturer records in. It will help police go frame-by-frame through video to zero in on the best shot of a suspect. It will let police tag people of interest in hours of video streams and render video much faster when needed to export for trials or releasing to the public, the company says. The hope is to make managing video—whether from a police-worn body camera or a private surveillance camera—easier for police. Many departments now, including a large agency in the Cambridge area, can’t isolate specific frames from a video, Sniff says. Instead, officers rewind and try (over and over) to land on the best frame by pausing the video. Suspect Technologies now has six employees, four working full-time. Sniff says he hopes to have all six at full time within the next three months and add another four in the first half of 2019. He says Suspect’s software is being used by a couple hundred law enforcement agencies. After rolling out the company’s next product, Sniff says, his aim is to raise a larger funding round next year. Cuban first invested in Suspect Technologies in 2016 after Sniff contacted him out of the blue with an e-mail. The technology was soon added to the locker room of Cuban’s Dallas Mavericks to identify when players arrived for a game. 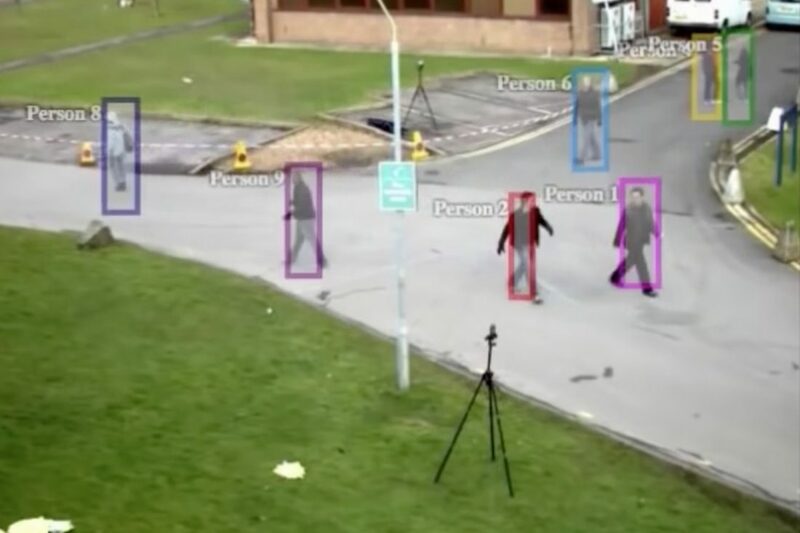 Competitors like Encino, CA-based FaceFirst and Israeli company Face Six have also targeted the law enforcement market, with some also expanding to retail, university, and hospital settings for their facial recognition systems. Chinese companies such as SenseTime and Megvii are also strong in the field.